Soliton IT - Our Partners - PACS, VNA, VR and beyond! 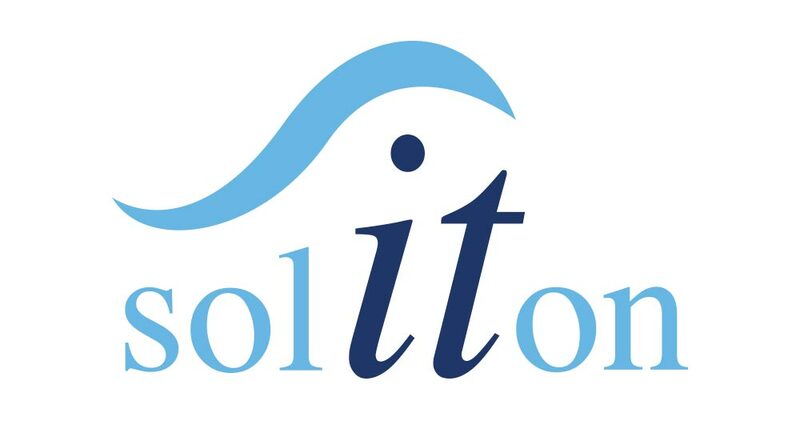 With system integration high on our list, it’s no wonder that partnerships and technical co-operation with key industry vendors remain a focus for Soliton IT. Our suite of solutions integrate with virtually all PACS systems and our collaboration with industry VNA developers ensure that we can offer imaging synergy for any modality. Similarly, long-established relationships with speech processing pioneers and manufacturers allow us to merge advanced voice-to-text technologies and recording hardware into our remit of radiology IT products. Nuance provides a more natural and insightful approach to clinical documentation, freeing clinicians to spend more time caring for patients. Nuance healthcare solutions capture and communicate more than 300 million patient stories each year helping more than 500,000 clinicians in 10,000 healthcare organisations globally. Nuance’s award-winning clinical speech recognition, medical transcription, CDI, coding, quality and medical imaging solutions provide a more complete and accurate view of patient care, which drives meaningful clinical and financial outcomes. With more than 20 years of innovation and 1,700 installations, Sectra is a leading global provider of imaging IT solutions that support healthcare in achieving patient-centric care. Sectra offers an Enterprise Image Management solution comprising PACS for imaging-intense departments (radiology, pathology, cardiology, orthopaedics), VNA and Cross Enterprise Workflow solutions. Mach7 Technologies develops innovative enterprise imaging IT solutions that create a clear and complete view of the patient to inform diagnosis, reduce care delivery delays and costs, and improve patient outcomes. Mach7’s award-winning enterprise imaging platform provides a vendor neutral foundation for unstructured data consolidation and communication to power interoperability and enables healthcare enterprises to build their best-of-breed clinical ecosystems. Mach7’s sophisticated workflow tools, advanced clinical viewing and optimized vendor neutral archiving solutions unlock silos of legacy systems empowering healthcare providers to own, access and share patient data without boundaries. Intelerad Medical Systems is a leader in distributed radiology, specialising in PACS and workflow solutions for healthcare organisations. Intelerad solutions increase productivity and streamline workflow by overcoming technical barriers in distributed and complex environments. Highly scalable, flexible and robust, Intelerad’s solutions offer high performance and industry leading customer service and support. Intelerad solutions are used in more than 1,000 sites across North America, Oceania and the United Kingdom. Carestream Health is a worldwide provider of medical and dental imaging systems and IT solutions; X-ray imaging systems for non-destructive testing; and advanced materials for the precision films and electronics markets. Their innovative solutions enable their customers’ success and help create a better life for people around the world. With operations in 170 countries and more than 800 patents for medical and dental imaging, and information technology, Carestream remains at the forefront of numerous technological advancements in imaging and healthcare IT. Carestream has the radiology and healthcare IT expertise to help medical professionals improve patient care while growing physician satisfaction. They have global sales and service teams, strong product platforms, solid market positions and a trusted brand—and are committed to helping healthcare professionals control costs while maximizing their radiology investment. Siemens Healthineers is the separately managed healthcare business of Siemens AG enabling healthcare providers worldwide to meet their current challenges and to excel in their respective environments. A leader in medical technology, Siemens Healthineers is constantly innovating its portfolio of products and services in its core areas of diagnostic and therapeutic imaging and in laboratory diagnostics and molecular medicine. Siemens Healthineers is also actively developing its digital health services and enterprise services. To help customers succeed in today’s dynamic healthcare marketplace, Siemens Healthineers is championing new business models that maximize opportunity and minimize risk for healthcare providers. In fiscal 2016, which ended on September 30, 2016, Siemens Healthineers generated revenue of €13.5 billion and profit of over €2.3 billion and has about 46,000 employees worldwide. At Philips, we look beyond technology to the experiences of patients, providers and caregivers across the health continuum, from healthy living to prevention, diagnosis, treatment and home care. We unlock insights leading to meaningful innovations from hospital to home. Our integrated solutions – comprising systems, smart devices, software and services – combine broad and deep clinical expertise, technology and services, actionable data, consultative new business models and partnerships. Together, with our customers, we can transform how care is delivered and experienced. With over 250 sites benefiting from their PACS and VNA solutions, Insignia Medical Systems is the leading UK based Enterprise Imaging provider. With the largest local development and deployment teams in the UK, Insignia is uniquely able to focus its services to exclusively meet the needs of the NHS and UK private providers. Insignia believes in providing the highest quality service to customers and builds partnerships based on achieving mutual goals and understanding. Their relationships reflect their shared ethos of working together to improve patient care.